I’m a geek, software nerd, and a musician. As I’ve been stagnating lately in my musical progression I decided to dive into trying to produce some recordings of some of my music, hoping to spice up the old brain.I have a lot to learn. It’s pretty humbling, but despite being a musician and a developer with some decent tinkering ability, I’ve found getting into recording and production a bit challenging on certain things. If you come from a background in which you understand terms such as pre/post, bus, gain structure, compression ration, and other terms then your learning curve will be much easier. For me, my extent of dealing with these terms was focused on guitar pedal settings and an analogue mixing board. This has made things much tougher, as I’ve been learning terminology along with methodology. I’ve also been pretty astonished with some of the technology solutions I had never explored that allow a much richer musical creation for a musician. I figured I’d share my progress as I work through some of these things in case it helps some others on the road. This is not attempting to be a profound treatise, full step by step walkthrough, but more focusing on sharing some of the problems as well as things I’ve discovered. Maybe you’ll save some time, or get some new ideas if this is a new venture for you as well! This is probably going to be my primary DAW. My initial impressions are extremely positive. The only competitor in my current focus is Ableton since I enjoy live looping, and the session/arrangement integration. However, for pure DAW focus, I’m not sure I’d be as comfortable long-term with Ableton since I’m not primarily an electronic loop/sample based writer. The details I’ll be posting are on the Professional Edition, so some of the functionality might not be available in the other versions. See their version comparison for exact details. Disclaimer: Presonus generously provided a license for my evaluation. However, please note that I am not biased in my review, as I believe in providing unfiltered feedback. I ran into some serious download issues when using the Presonus content installer. In reading forum posts, I see that this has occasionally cropped up. If this happens to you, run just go to the presonus account page and download directly with your internet browser, as it ran much faster for me. This was the only major hitch in my install. Maybe a better CDN is in order? So far, very intuitive interface. 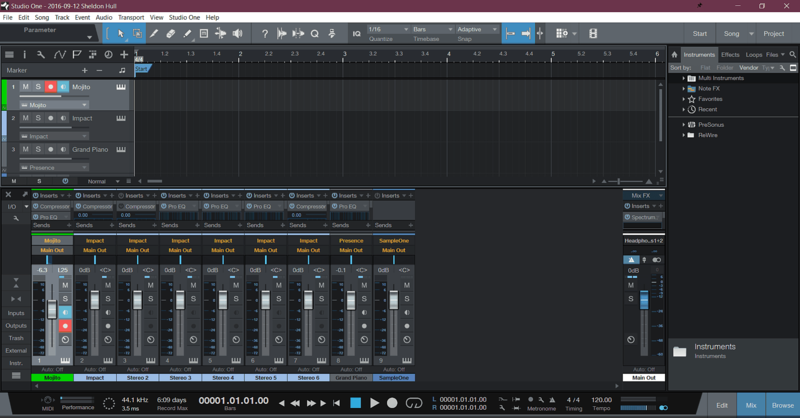 I’m not a DAW expert by any means, so I’ve been looking for something that had a natural feel to someone familiar with the basics of recording, yet more powerful functionality that will help me create and arrangement more complex pieces. So far, it feels like Presonus Studio One 3 is living up to the reputation I’ve found online for being getting out of the way and enabling creative workflow. 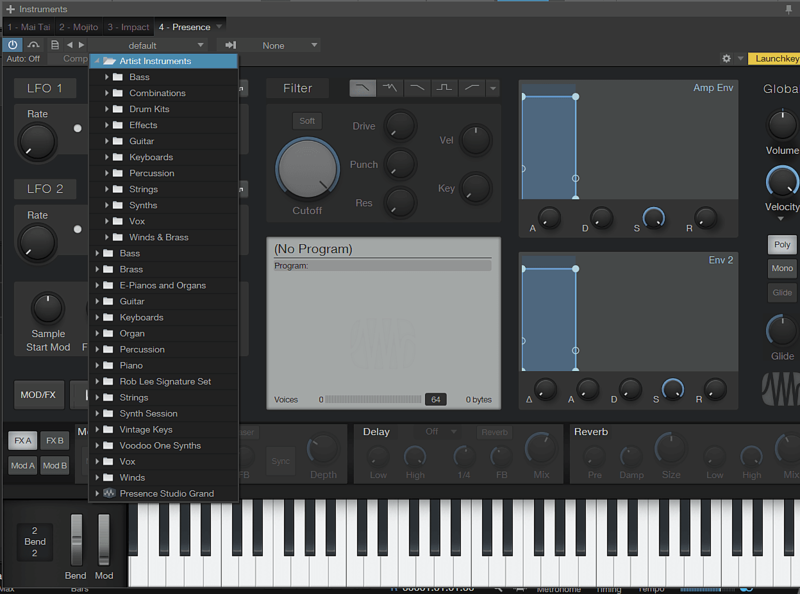 I haven’t even dived into the scratchpad functionality, but even my first project has been a very pleasant experience, with none of the “stumped” moments I had in getting this to work with Ableton Live (though I still prefer this for live looping right now). 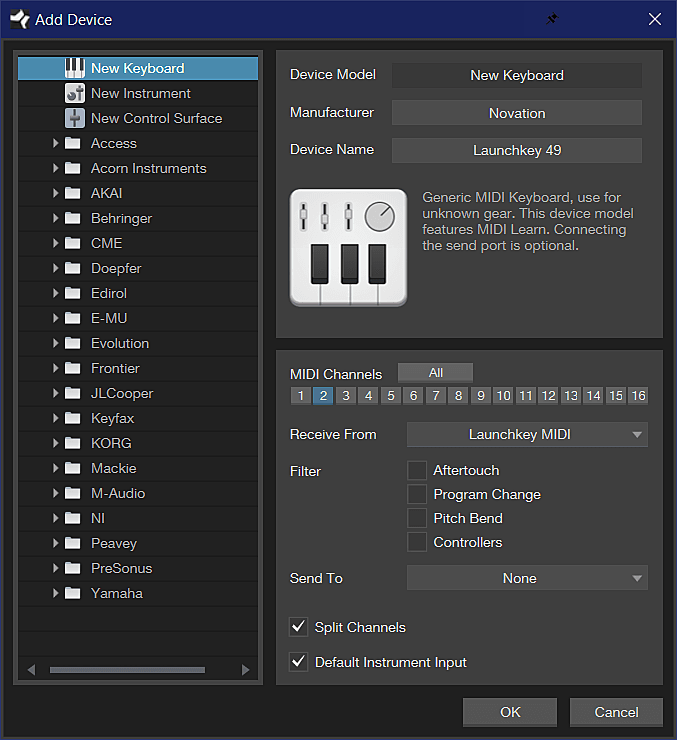 Setting up a midi device has been a learning experience. Working with Studio One required a bit of experimentation, as it wasn’t preset, but I finally got it to work. It would be nice if they offered more presets, but at least I got it working! Not all the controls seemed to be mapped, but Launchkey has “InControl” functionality, so I plan on evaluating this soon. 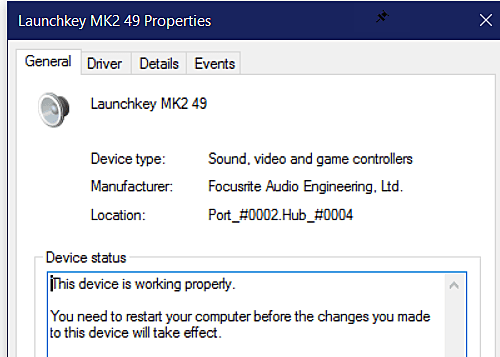 To find the midi port a device is working on with Windows, go to device manager, and you can see the midi port displayed so you know what to configure. The interface is clean, designed to be a single screen view without a lot of navigation required. The context menu options are kept organized and clean. For me, Reaper was a great DAW, had a lot of functionality for the price, but was very context menu driven and this was a lot to get used to. I think Presonus has done an admirable job of organizing the many options to keep things from getting too messy. One thing I liked was the focus on “songs”, as it offered the creation of a new “song” instead of “Files/projects”. This felt like such a great design decision as it focused on the creation aspect of new songs. A package of instruments are included in Studio One. I enjoyed the Cello and Pizzicato string sections in particular. I’ll probably post more on this later as I discuss Melodyne integration. Nice and easy to find. No problems here. Was happy to see it supports 32, 64, VST3 and more. 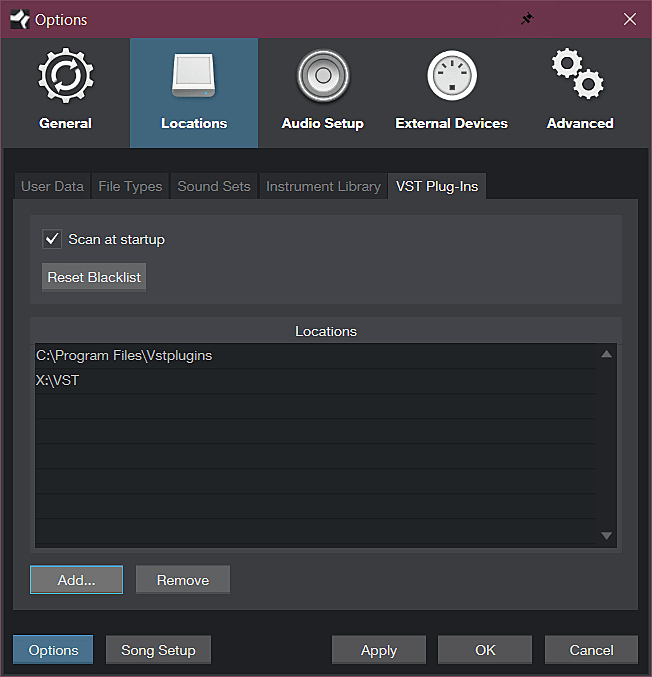 Ableton Lite didn’t support 32bit, so I had a lot of VST’s downloaded that I couldn’t use. 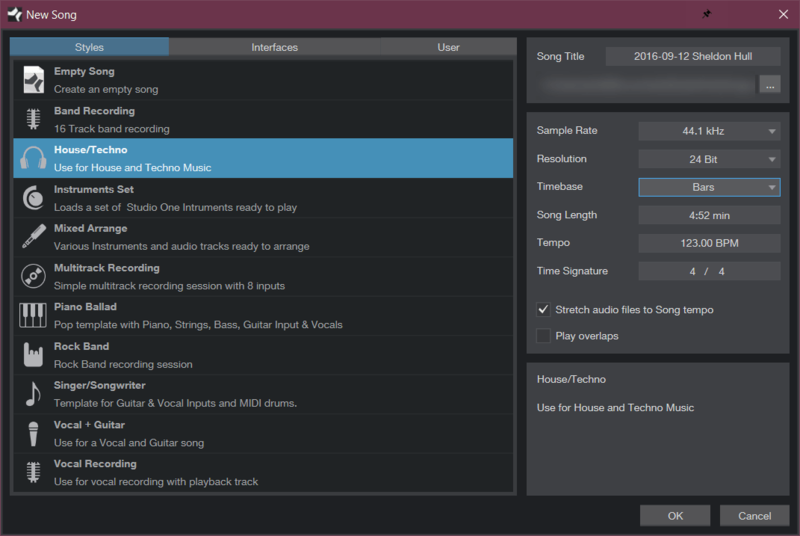 I plan on discussing the Arrangement functionality as it helps to bridge the gap of organizing complex tracks, as well as scratchpad, which was the primary function I was excited to try, as it seems a win for someone experimenting with various versions. I’ve plan on showing how to convert guitar riffs into a cello, quantizing notes for more precision on a fast run, folding/unfolding multiple takes, and more. It’s crazy how much is packed in here, but I’m completely loving it. So far, the biggest thing I’m missing is a drum generator such as EzDrummer 2. I had planned on doing a review of this, but my trial ran out and I haven’t heard from them if they do any licenses for press reviews. Addictive drummer seems ok, but the trial is so limited, I’m really not able to leverage, and the single few tracks I was able to try didn’t hit what I needed (demo removes all cymbals). EzDrummer 2 was pretty darn good in helping me create some believable tracks. Superior Drummer also seems promising but I couldn’t find any trial for it. If Presonus had something equivalent to EzDrummer 2 to generate believable drum tracks and rhythms based on building the drums that would be awesome. As it is, it seems to focus on some drum samples and loops, but not a full built engine like EzDrummer 2 offers. If I end up hearing back from Toontracks on their products and obtain copies, I’ll be sure to post up more details at that point for the aspiring non drumming arrangers among us.